The Montgomery Trading Post is a great story, but a "story" is all it is. Just as a mirage contains no water, the Montgomery Trading Post accounts contain no historical evidence of a Montgomery Trading Post. History books reporting the history of Montgomery County, Texas have related the stories of a so-called Montgomery Trading Post for several decades. According to the stories, the early settlers of the area arrived to find a trading post engaged in trade with the local Indian tribes. As the stories go, the trading post became the cultural center of the settlement. Known as Montgomery Trading Post, the settlement and the lands around it became known as Montgomery Settlement and Montgomery Prairie prior to the founding of the town of Montgomery. When the town of Montgomery was founded nearby, the town naturally took its name from the trading post; and later when the county was created, Montgomery County took its name from the town. This is the general story of the Montgomery Trading Post. The Montgomery Trading Post is a great story, but a "story" is all it is. Just as a mirage contains no water, the Montgomery Trading Post accounts contain no historical evidence of a Montgomery Trading Post. The Montgomery Trading Post is actually a myth. As a newcomer trying to learn the history of the Montgomery Trading Post more than 10 years ago, I discovered that there were different versions of the Montgomery Trading Post story. What struck me as most curious at first was that no one else ever seemed to have notice that the Montgomery Trading Post accounts did not agree in the most basic of details such as: location, ownership, and years of operation. As I dug ever deeper into primary historical sources which were readily available in the Montgomery County courthouse and elsewhere, all the Montgomery Trading Post accounts began to fall apart. There was simply no historical evidence whatsoever to back up the existence of a trading post called Montgomery Trading Post anywhere! If you have read the many different versions of the so-called Montgomery Trading Post story in the various histories of the town and county and have been confused, then this article will go a long way towards helping you understand how there came to be so many different versions of the story. This article shows in great detail how the legend or myth of the Montgomery Trading Post began, changed and developed over time. Why Expose the Montgomery Trading Post Myth? I have been asked on several occasions why I have put so much time and effort into exposing the Montgomery Trading Post Myth. There are three reasons why I have researched, studied and exposed the Montgomery Trading Post Myth in so much detail. First: Almost every local historian who has ever written a history of the town of Montgomery or of Montgomery County, has included a story of an Indian trading post that preceded the founding of the town of Montgomery. Montgomery County historians have considered the story of the Indian trading post very important to the early history of the town and the county since they began writing histories of the town of Montgomery in 1925. Second: Since 1938, almost every local historian has used an Indian trading post to try and explain the source of the name of the town and the county of Montgomery. An Indian trading post supposedly known as the "Montgomery Trading Post" has been mistakenly offered by these local historians since 1938 as the source of the name of the town and/or the county. Third and Most Importantly: The Montgomery Trading Post stories are not true! There was never an Indian trading post anywhere in the vicinity of the present town of Montgomery, Texas known as the "Montgomery Trading Post." I have done over a decade's worth of research into the early history of Montgomery County. In collecting and gathering the evidence of that history, I am no longer satisfied in just relating the corrected history of the town and county of Montgomery. As so much information was found to be wrong in the previously written histories, I am now compelled to write the history of those histories to show what happened, i.e. how the early history of the town and county got so far off the tracks. The goal here is to show when and how the errors either crept in or were forcibly and intentionally shoved into the history. In this section we will look at the origin of the Montgomery Trading Post Myth and its evolution over time. First, we will look at a brief synopsis of the true details of the actual trading post that did precede the founding of the town of Montgomery, Texas. We will then look at the first documents that began to fictionalize the history of the trading post by substituting erroneous details for the true facts. Beginning with the oldest documents that mention the trading post, we will watch the trading post's ownership, location, date of founding and other details evolve over about an eighty year period. It is very important to note here that there was in fact a trading post or store that preceded the founding of the town of Montgomery, Texas. Founded in 1835, it was located about a half mile north of the present site of the town of Montgomery under the hill on the creek that later became known as Town Creek. Click here to read the detailed history of The Indian Trading Post that Became the Town of Montgomery, Texas and The Lake Creek Settlement. had been told tradition, folklore and legends so convincingly that they assumed there was no reason to validate the accuracy of what they had been told. As these historians did not look at primary sources with regard to the trading post, they were not confined by the actual facts and could freely speculate and embellish as creatively as they pleased. But There Was a Trading Post! 600 acres of land from John Corner. on the creek on the 200 acres of land purchased from William C. Clark. The store would be known as "the store of W. W. Shepperd on Lake Creek." create a new county to be called "Travis County." The "Travis County" bill did not pass. by W. W. Shepperd in association with J. W. Moody. This was the "Old Town" of Montgomery "under the hill." County, Alabama before coming to Texas. for the creation of a new county with "No Name." county Montgomery after the Town of Montgomery. into law and Montgomery County is Created. of Montgomery County by nine Commissioners. February 26, 1838 - Shepperd Buys 212 Acres from John Corner. This land is on a hill just south of the town of Montgomery. purchased from John Corner on the hill to the county. as the "New Town" of Montgomery "on the hill." August 20, 1839 - Major John Wyatt Moody dies in Houston. and the creation of the county die with him. 1849 - W. W. Shepperd dies in Montgomery County. 1885 - Charles B. Stewart dies in Montgomery, Texas. and the creation of the county dies with him. such as the source of the name of the town and county. Over time the Montgomery Trading Post Myth was born. Below is the most complete history of the Montgomery Trading Post Myth ever written, but first let us look at some early attempts to explain where the name of Montgomery County came from. "I am the very model of a modern Major-General." The Montgomery Trading Post Myth was not the first attempt by historians to explain how Montgomery County, Texas got its name. Between the time of the actual history (1830's) and the introduction of the Montgomery Trading Post myth (1925), other explanations were introduced to explain the source of the name of Montgomery County, Texas. For instance, in 1879, Homer S. Thrall published A Pictorial History of Texas (1879, St. Louis, N. D. Thompson & Co.), p. 685. This may be the earliest example of an historian trying to explain the source of the name of Montgomery, County. "103. Montgomery.-Created from Washington and Nacogdoches, in 1837; named for General Montgomery. Montgomery is the county seat. Bounded north by Walker, east by San Jacinto and Liberty, south by Harris, and west by Grimes. This is well watered by the San Jacinto river and its tributaries; has an inexhaustible supply of timber; and is an excellent agricultural county. The Houston and Great Northern Railroad passes through the county. Willis is forty-eight miles north of Houston. Population of county in 1870, 6,483; assessed value of property in 1876, $1,477,744." Homer S. Thrall does not provide a given name for General Montgomery. Thrall does not cite a single primary source for his assertion that Montgomery County was named for someone named General Montgomery. The next two sources attempt to provide a given name for General Montgomery but they do not agree. "Montgomery County is situated in Eastern Texas, within the coastal plains region. It was organized from part of Washington County in 1837 and named for Gen. James Montgomery..."
Here the 1910 Texas Almanac and State Industrial Guide provides a given name for General Montgomery, but just who General James Montgomery may have been is left to speculation. Like Homer S. Thrall before them, the editors of the Texas Almanac and State Industrial Guide did not cite a single primary source to prove Montgomery County was named after the mysterious General James Montgomery. "This county was named for Richard Montgomery, who was born in Ireland, December 2, 1736, and settled at King's Bridge, New York, in 1773. In 1775 he was elected a delegate to represent Dutchess County, New York in the First New York Provisional Assembly. In the same year he was appointed Brigadier General, and was killed at Quebec December 31, 1775." Decades later, Fulmore attempts to fill in some of the blanks regarding the "General Montgomery" that Thrall introduced in 1879. Sadly, Fulmore, like Thrall and the Texas Almanac and State Industrial Guide, provided no primary sources for his information about the naming of Montgomery County. "In a work of this character any attempt to give a bibliography would be impracticable. Wherever it was deemed proper, this has been given in the body of the text." Evidently it was not "deemed proper" for the write-up on Montgomery County as no bibliographical information was given in the body of the text. This would not stop local historians from mentioning General Richard Montgomery over and over again. Beginning in 1925, General Richard Montgomery will be mentioned in local histories as a possible source of the name of the town of Montgomery and Montgomery County along with almost every version of the Montgomery Trading Post Myth. As popular as the Montgomery Trading Post story would become, General Richard Montgomery was always mentioned as a possibility for the source of the name of the county. This marker is located on Texas State Highway 75 (SH 75). In Conroe, Texas, SH 75 is called Frazier Street. The Montgomery County, Texas centennial marker is located 4.4 miles north of downtown Conroe on the west side of SH 75 in a highway rest area. "...There were at that time a few of the descendants of the original settlers of this county who came with their parents to this section as colonists, but were altogether ignorant of the organization of the old 'principality' of Montgomery...W. W. Shepperd was the first to have a store at the old town of Montgomery under the hill. It [the town] was later moved to its present location." This letter originally appeared in an article, “Original Flag of Texas Shown Here Tomorrow,” in the August 11, 1922, Daily Examiner newspaper published in Navasota, Texas. This July 7, 1922 letter was the letter in which Edmund B. Stewart transferred the original drawing of the Lone Star flag drawn by Charles B. Stewart to Mrs. Brosig to display in her hardware store in Navasota. There were only three men that had an active role in the founding of the trading post and/or the town of Montgomery: W. W. Shepperd, J. W. Moody and C. B. Stewart. C. B. Stewart had been married (March 11, 1836) to his first wife, Julia Shepperd, on the land that became the original site of the town of Montgomery under the hill (July 1837). C. B. Stewart had owned land in the original town of Montgomery under the hill. Julia Shepperd, C. B. Stewart's first wife, was the daughter of William W. Shepperd who founded the original town of Montgomery under the hill. C. B. Stewart helped locate the site of the town of Montgomery at the its new location on the hill on March 1, 1838 at the first Montgomery County Commissioners' Court meeting. Edmund B. Stewart grew up listening to his father, C. B. Stewart who was an eye-witness to the events surrounding the founding of the town of Montgomery. Edmund B. Stewart's letter is also well corroborated by a large number of primary historical documents. Edmund B. Stewart was born June 26, 1852. E. B. Stewart was the son of Charles Bellinger Stewart and his second wife, Elizabeth Antoinette Boyd. When C. B. Stewart died in 1885, E. B. Stewart was 33. In 1922, Edmund B. Stewart points out in his letter to Mrs. Brosig that "...the descendants of the original settlers of this county...are altogether ignorant of the organization of the "principality" of Montgomery..." It would appear that Edmund Stewart had already begun hearing the folklore that was beginning to circulate regarding the original trading post and the source of the name of the town of Montgomery. The Montgomery Trading Post Myth is about to make its appearance. The Anna Landrum Davis history essay, Old Montgomery, will be written 3 years later in 1925 (see below). The Edmund B. Stewart letter to Mrs. J. W. Brosig pre-dates the Anna Landrum Davis history essay by three years making his letter the earliest local historical account outside of the primary sources themselves. "All history, so far as it is not supported by contemporary evidence, is romance." is by definition fiction and not history at all." and that the county was afterward named for the town." The Montgomery Trading Post Myth began to take shape in 1925. In 1925, Anna Landrum Davis submitted an essay, Old Montgomery, for a statewide local history contest called the Caldwell Prize. Strongly influenced by her aunt, Mary Davis, Anna Landrum Davis, a senior high school student, would be the first local historian to attempt to suggest a source of the name of the town of Montgomery, Texas in written form. Anna Landrum Davis was an orphan who lived with her financially poor maiden aunt, Mary Davis, in Montgomery, Texas. Anna's grandfather had been a well-to-do local merchant named Ilia Davis, but by the time Anna was in high school, Anna Landrum Davis and Mary Davis had fallen on very hard times. As a Senior in the high school in Montgomery, Texas in 1925, Anna Landrum Davis entered a history essay in a statewide local history contest called the Caldwell Local History Prize. The essay Anna Landrum Davis entered in the contest won 5th prize. The paper Anna Landrum Davis submitted was titled Old Montgomery. Click here to see the complete essay Old Montgomery. Also see the December 3, 1925 edition of the Dallas Morning news which printed the entire essay in Part Two on page nineteen. This 1925 essay Old Montgomery is extremely significant in that it introduced the world to the mistaken idea that the town of Montgomery, Texas was named after some local family named Montgomery. Below are excerpts from the 1925 essay Old Montgomery regarding the trading post and the origin of the name of the town and county. It is interesting to note that the 1925 essay Old Montgomery does not actually refer to the trading post as the Montgomery Trading Post. That addition will come later. In fact Old Montgomery does not refer to the trading post as "Indian trading post" either. In reading these excerpts, the reader is reminded that this is a high school essay paper and most of what is highlighted below in this quote is not true. Do not rely on these excerpts as valid history. "Montgomery is one of the oldest towns in the State. It has long been affectionately called by its residents "Old Montgomery." It had its beginning in 1830, when Jacob Shannon, James Montgomery, and one or two others built homes on Town Creek, about a half mile north of the present site of the town. Jacob Shannon, who had come to Nacogdoches from Kentucky in 1826, and who had taken part in the Fredonian rebellion, established a trading post here. He carried beautifully dressed hides bought from the Indians to Kentucky, and brought back horses and goods for the settlers. A later comer to this settlement was Dr. C. B. Stewart. He was prominent in the early history of Texas, and was the first signer of its Declaration of Independence. He was living here as early as 1837." "Local tradition says this little settlement took its name from James Montgomery and his wife, Margaret Montgomery, and that the county was afterward named for the town. Z. T. Fulmore, in his "History and Geography of Texas," says that the county was named for Gen. Richard Montgomery, who was killed at Quebec in 1775." Typical of many of the histories that follow, General Richard Montgomery gets mentioned as a possible source for the name of the county. See University of Texas Bulletin No. 2546: December 8, 1925, page 42, The Texas History Teachers' Bulletin, Volume XIII, Number 1. Note that in 1925, the essay Old Montgomery clearly states that it is "local tradition" that "says this little settlement took its name from James Montgomery and his wife, Margaret Montgomery, and that the county was afterwards named for the town." This one element regarding the source of the name of the town and the county will evolve several times over the next 50 years. According to the essay Old Montgomery, the Indian trading post was established by Jacob Shannon. This element will also evolve drastically over the next 50 years. It is also very important to note that in this first telling of the story in Anna Landrum Davis' essay in 1925 that "local tradition says this little settlement took its name from James Montgomery and his wife, Margaret Montgomery, and that the county was afterwards named after the town." The essay also provides that "Jacob Shannon...established a trading post here." Just who James Montgomery was supposed to have been is confusing. Stephen F. Austin, did not give a grant of land to anyone named James Montgomery in the Lake Creek Settlement. Perhaps this James Montgomery was borrowed from the 1910 Texas Almanac and State Industrial Guide. See General James Montgomery mentioned by Texas Almanac and State Industrial Guide above. James Montgomery will become a moot point however, when "local tradition says" something different in the next retelling of the history of the town of Montgomery in 1938. A settler named James Montgomery won't reappear in the Montgomery Trading Post Myth again until 1962. The trading post being named or called Montgomery is not present here in the Anna Landrum Davis essay. The settlement gets its name from James Montgomery and his wife Margaret Montgomery according to the Anna Landrum Davis essay, not the trading post. The idea that the trading post was called Montgomery will be a later innovation to the story. Again, there is no Montgomery Trading Post in the Anna Landrum Davis essay! The trading post is owned by Jacob Shannon, but the town is named for James Montgomery and his wife, Margaret Montgomery. At this point the trading post and the namesake of the town are separate. However, the Anna Landrum Davis' essay lays the foundation for the future invention of the so-called Montgomery Trading Post. The writer of Old Montgomery was honest enough to use the qualifying language "local tradition says that this little settlement took its name from James Montgomery and his wife, Margaret Montgomery..." Most of the early historians of the town of Montgomery and Montgomery County will be careful to use such qualifying language for two or three more decades when trying to explain the source of the name of the town and county. However more recent histories have omitted such qualifying language even when citing these earlier histories as their source for their information. Instead of stating them as theories or hypotheses, modern histories state the source of the name of the town and county and the ownership of the trading post as given facts. This is something even the early historians were unwilling to do. "Montgomery County was created Dec. 14, 1837. It extended from the Brazos River to the Trinity, and it included what are now Grimes, Montgomery, Walker and Madison Counties. Nine commissioners were appointed to select the county seat of the new county. They were as follows: James Mitchell, Pleasant Gray, William Roberson, Elijah Collard, Charles Garrett, Joseph L. Bennett, B. B. Goodrich, D. D. Dunham and Henry Fanthorpe. They selected Montgomery "its location being near the center of the county with respect to the boundaries that then existed." "William Shepperd donated 100 acres to the County Commissioners for the county seat. This was on the hill south of the old town. He furnished also a plot for the town." Though much of the true early history of the town and county were omitted from Old Montgomery and Old Montgomery introduces new erroneous elements to the early history of the town and the county, the essay includes some true historical details surrounding the founding of the town of Montgomery by William W. Shepperd. Shepperd's earlier activites that preceded this donation of land have been forgotten in this 1925 essay. The details that were forgotten were replaced with incorrect family tradition and folklore. For the true early history of the town of Montgomery based on the newly uncovered primary sources, see the articles, Lake Creek Settlement and Indian Trading Post. About the only thing Old Montgomery preserves of the true history of the store or trading post is its location. The location is correct: about a half mile north of the present site of Montgomery on the creek. This was the correct location of W. W. Shepperd’s store or trading post on the creek that later became known as Town Creek. The actual trading post was known as "the store of W. W. Shepperd on Lake Creek." The location was correct, but the parts of the trading post story dealing with W. W. Shepperd had been forgotten between the 1830's and 1925. In the essay Old Montgomery, no mention is made of anyone named Owen Shannon, Margaret Montgomery Shannon, William Montgomery or Andrew Montgomery with regard to the naming of the town and county or a trading post. Their names are absent from the entire essay. These names will all be later additions as the Montgomery Trading Post Myth evolves over time. Note: This is extremely important!!! 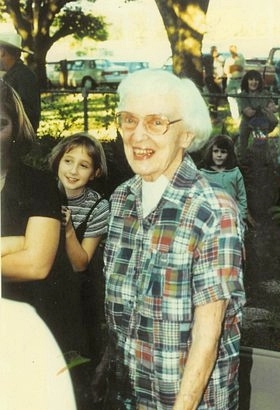 In a series of interviews between April 1994 and March 1995 with Lloyd A Biskamp for his book Old Montgomery (A title borrowed from Anna Landrum Davis' 1925 essay), Anna Davis Weisinger provided some extremely important information about her relationship with her aunt Mary Davis and the source of her 1925 essay. "The school that I graduated from in 1925 was for all grades, and it had only four rooms. I think we had eleven grades. My class was the last group that graduated from that school." "I [Anna Landrum Davis, later Anna Davis Weisinger] wrote a history of Old Montgomery during my last year of school. I got the credit for this history, but Auntie [Mary Davis] did much of the research and real work. She gave me the credit for it." See Lloyd A. Biskamp's Old Montgomery, Chapter Two, pages 6-14, "Anna Weisinger Remembers," specifically left column on page 11, about half way down the column. A copy of Lloyd Biskamp's book, Old Montgomery, is now available for research in the Reference Area of the Charles B. Stewart West Branch Library of the MontgomeryCounty Memorial Library System. Anna Landrum Davis was raised by her aunt, Mary Davis, from the age of seven. Almost 70 years after writing her 1925 essay, Anna Landrum Davis Weisinger admitted to editor Lloyd A. Biskamp that her aunt, Mary Davis, "did much of the research and real work" and Mary Davis gave her niece Anna Landrum Davis "the credit for it." The Montgomery Trading Post was an invention of Mary Davis. Outside of her imagination and later the imagination of others, it never existed. Accordingly, it is important to note that in 1925 Mary Davis believed the town received its name from someone named James Montgomery and his wife Margaret Montgomery. Years of research have failed to uncover any record of anyone named James Montgomery ever living in western Montgomery County or in the area of the present town prior to the founding of the town in 1837. Perhaps Davis borrowed General James Montgomery from the Texas Almanac and State Industrial Guide. Who the mysterious James Montgomery may have been would become moot. By 1938, Mary Davis would change the source of the name of the town of Montgomery to someone else. In 1925, Anna Landrum Davis lived here with her aunt, Mary Davis. We can trace the origin of the Montgomery Trading Post Myth to this very house. At the time of the 1925 essay, this house was in very bad shape as Mary Davis could not afford to keep it in good repair. Anna Landrum Davis would later marry Raymond Weisinger, move into the house and restore it over a period of many years. It is ironic that the mythical story of the crude log Montgomery Trading Post traces its origins within the walls of such a stately old house dating back to 1854. COMPANY WAS ALSO NAMED FOR HER). BY BOAT AND WAGON FROM NEW YORK. WAS ONLY OTHER CHILD BORN HERE. Old Montgomery begins to reject the earlier theories (Homer S. Thrall, Texas Almanac and State Industrial Guide and Z. T. Fulmore) that the town and county were named for someone named General Montgomery and suggests a local explanation. Old Montgomery substitutes Jacob Shannon for W. W. Shepperd (the actual owner of the trading post/store) and establishes the basic foundation upon which the Montgomery Trading Post Myth will be erected. Old Montgomery suggests that the trading post and later the town received its name from someone named James Montgomery and his wife, Margaret Montgomery. No one named James Montgomery settled along the creek that became known as Town Creek. The lands along the creek that later became known as Town Creek in the northwest corner of the John Corner League had been purchased by William C, Clark from John Corner by January 1, 1831. Corner would have noticed a trading post being operated by Jacob Shannon, as well as all the other settlers Anna Landrum Davis describes, living on his land. From 1835 until well after the town was founded in 1837, W. W. Shepperd was operating the trading post a half mile north of the present (1925 era) site of the town. W. W. Shepperd's store was commonly referred to in many primary sources as "the store of W. W. Shepperd on Lake Creek." Prior to the founding of the town of Montgomery, the settlement was known as Lake Creek Settlement, not Montgomery Settlement. "The burden of proof, for any historical assertion, always rests upon its author. Not his critics, not his readers, not his graduate students, not the next generation. Let us call this the rule of responsibility." In 1929, Eric Lee Blair published his Masters thesis, A Study of the Government, Political Organization, and Population of the Territory that Now Constitutes Grimes County, Texas 1821-1836 at the University of Texas at Austin. Click here to see a description of E. L. Blair's Masters thesis in the Southwestern Historical Quarterly. In 1930, E. L. Blair published his Masters thesis as a book titled, Early History of Grimes County. The book, Early History of Grimes County, covers many details of the early history of Montgomery County before Grimes County was created out of its territory. Early History of Grimes County was the first real effort to report a detailed history of Montgomery County in book form. It is important to note that E. L. Blair made no mention of any place called Montgomery Trading Post or of a place called Montgomery Settlement anywhere in his book. And Blair made no attempt to explain the source of the name of the town of Montgomery or the name of the county of Montgomery in either his thesis or his book. The Montgomery Trading Post was an invention of Mary Davis. Outside of her imagination and later the imagination of others, it never existed. for the family name of Jacob Shannon's mother, Margaret Montgomery. In 1938, Mary Davis wrote a paper "for the Senior History Class." Just which Senior History Class is not clear from the paper itself. In the bibliography of his master's thesis, William Harley Gandy identifies the paper as "an unpublished paper written for the Conroe High School History class." See page 210 of Gandy's thesis. Gandy does not say where he got this information. As the paper is primarily a history of the town of Montgomery, it is far more likely that Mary Davis wrote the paper for the Montgomery High School Senior Class than the Conroe High School Senior Class. The Mary Davis paper was destined to become the most influential document with regard to the "history" of the so-called Montgomery Trading Post. This document would drastically influence Bessie Price Owen, W. N. Martin, William Harley Gandy, the Souvenir Program of the 1949 Montgomery County Historicade, the booklet publicized by The Montgomery Historical Society The Choir Invisible, Robin Montgomery's 1975 book The History of Montgomery County and almost every other Montgomery County historian to follow. We will focus closely on this paper and what it had to say about a Montgomery Trading Post. We will then learn the shocking truth about this paper that no other historian has ever seemed to uncover. If they discovered it, they did not seem to realize its importance. "When the colonists came, they found an Indian trading-post on Town Creek, about a half mile north of the present site of Montgomery. This was owned by Jacob Shannon, the great grandfather of the Shannons now living in Dobbin. The trading-post became a meeting place for everyone, a kind of community center. The Shannons say that it was given the name of Montgomery for the family name of Jacob Shannon's mother, Margaret Montgomery. It was called Montgomery, and there was a settlement large enough to be called a town, for the old settlers always spoke of it as "the old town under the hill," and Town Creek got its name from the fact that there was a town there. Montgomery is really one of the few oldest towns in Texas, but its age is usually dated from 1837, when the new town was founded. But it was a municipality, one of the twenty-five municipalities of Texas. Jacob Shannon later removed to his league of land not far from the Caney Creek village, and Miss Lulu Shannon tells some interesting stories of the Indians' superstitions. Shannon built here another trading post..."
See Old Montgomery - History and Genealogy of Montgomery County edited by Lloyd A Biskamp, 1998, pages 1 & 2. Note in this version of the Montgomery Trading Post story, Jacob Shannon is still the owner of the Indian trading post just as he was in the Anna Landrum Davis essay Old Montgomery. Several changes have occurred since the Anna Landrum Davis essay. In the Anna Landrum Davis essay, Jacob Shannon is operating the trading post, but the settlement and the town are named after James Montgomery and his wife, Margaret Montgomery. In Mary Davis' 1938 re-telling of the story, James Montgomery has disappeared. Like the dinosaur, James was unable to adapt to the ever changing environment of the Montgomery Trading Post Myth, and he became extinct. Don't feel to bad for James Montgomery, he will be resurrected and pop up where you least expect him in the writing of later historians. He will, however, never be reported as the source of the name of the town or county again. Do to the erasure of James Montgomery from the story, another major change occurred. In the original telling of the story in the Anna Landrum Davis essay, the settlement was named after James Montgomery and his wife Margaret Montgomery. Jacob Shannon was operating a trading post in the settlement in Anna Landrum Davis' essay, but it was not called Montgomery. Further in the Anna Landrum Davis essay the Jacob Shannon trading post did not lend its name to the settlement, community or town. Now Mary Davis writes that the trading post owned by Jacob Shannon "was given the name of Montgomery for the family name of Jacob Shannon's mother, Margaret Montgomery." This is a completely new innovation to the story. Now, according to Mary Davis, the Indian trading post is named Montgomery! And the settlement, the town and the county will all derive their name from an Indian trading post named Montgomery. No explanation is given as to why Jacob Shannon's trading post is named after his mother or why he would be operating it on the John Corner League and not the Owen Shannon League. Not to worry as later writers will make those details up and fill in the blanks. Mary Davis wrote, "The trading-post became a meeting place for everyone, a kind of community center." This is another innovation Mary Davis makes. According to Mary Davis, the Indian trading post owned by Jacob Shannon and named Montgomery was a "kind of community center" and "became a meeting place for everyone." Mary Davis is the first to make an Indian trading post named Montgomery the center of activity for the settlement. Reality Check: As busy as Mary Davis and later writers wll say the Indian trading post named Montgomery was supposed to have been, no primary historical document have ever been located mentioning a store or trading post named Montgomery. The only records located to date, and there are many of them, are for "the store of W. W. Shepperd on Lake Creek." Deeds, bonds, contracts, business records, marriage records, etc. were executed at the store of W. W. Shepperd on Lake Creek. The store of W. W. Shepperd on Lake Creek was also located exactly where the 1938 Mary Davis paper and 1925 Ann Landrum Davis essay said the Indian trading post, that pre-dated the town, was supposed to have been. Shepperd's store was located under the hill on the creek that later became known as Town Creek. This was the 200 acres of land that Shepperd had purchased from William C. Clark in 1835 and that Clark had purchased from John Corner in 1831. Town Creek runs through these two hundred acres of the John Corner League and does not run through the Owen Shannon League. 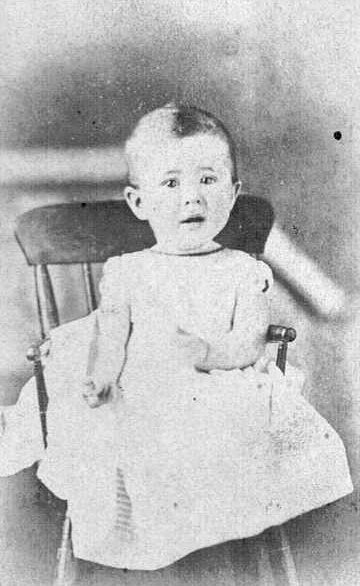 According to the headstone on her grave in the Old Methodist Cemetery (Hwy 105 W. & Pond Street) in Montgomery, Texas, Mary Davis was born in 1868 and died in 1944. Click here to see photos of Mary Davis and her obituary. Mary Davis was born about 33 years after W. W. Shepperd founded his store about a half mile north of town below the hill on the creek that later became known as Town Creek. Mary Davis was born about 31 years after the company of W. W. Shepperd and J. W. Moody founded the Town of Montgomery, Texas ("the old town of Montgomery") in July of 1837. She was born about 31 years after Montgomery County was created in December of 1837. Mary Davis was born about 30 years after the site of "the new town of Montgomery" was selected at Montgomery County's first Commissioners Court meeting on March 1, 1838. Mary Davis could not have had personal first hand knowledge of any of the events she wrote about in her paper that became titled "Early History of Montgomery." She was born many years after all these events happened. So, where did Mary Davis get her information for her very influential 1938 paper? We will see the surprising answer to that question shortly, but first let's look at what she wrote about the so-called Montgomery Trading Post. The paper is dated May 1, 1938 by Lloyd A. Biskamp in his book, Old Montgomery - History and Genealogy of Montgomery County. See page 1. Mary Davis was about 70 years old (1938-1868 = 70) when she wrote the paper. The title of the paper is Early History of Montgomery, and the paper indicates that it was "Written at the request of the Senior History Class, May 1, 1938." This would have been about 103 years after the founding of W. W. Shepperd's store, about 101 years after the founding of "the old town of Montgomery" under the hill and about 100 years after the selection of the site for "the new town of Montgomery" on the hill. I have avoided calling the paper written by Mary Davis a history or history paper for reasons which will become apparent shortly. There is a "book" (its really a ring binder) of materials transcribed by Lloyd A. Biskamp in 1998. The Montgomery Historical Society sold these books as a fund raiser back in 1998. Biskamp had gotten together with Bessie Price Owen and Anna Landrum Davis Weisinger and they let him transcribe many of their "histories" and other documents they had collected over the years regarding Montgomery County history. These documents included papers and articles written by Mary Davis. On page 1 of the book is the "Early History of Montgomery" written by Mary Davis at the request of the Senior History Class," May 1, 1938. On page 5, the copy of the Mary Davis paper that was given to Lloyd A. Biskamp had a note written by Mary Davis to Bessie Price Owen that is incredible. Now keep in mind, the 1938 Mary Davis history paper will be quoted and relied upon by just about every historian that follows Mary Davis for almost 80 years including W. N. Martin, William Harley Gandy, Robin Montgomery, Harry G. Daves, Jr., Bessie Price Owen, etc. as well as a number of compiled county histories. Most of her statements about the trading post will be accepted as fact and later evolve into the many different versions of Montgomery Trading Post Myth we have today. It had its beginning in 1830, when Jacob Shannon, James Montgomery, and one or two others built homes on Town Creek, about a half mile north of the present site of the town. Jacob Shannon...established a trading post here. "When the colonists came, they found an Indian trading-post on Town Creek, about a half mile north of the present site of Montgomery. This was owned by Jacob Shannon..."
Here is a map that shows where so many Montgomery County historians have made their mistake in reporting that a trading post was established by one of the Shannons about 1830 about a half mile north of the present site of the town of Montgomery along the creek that became known as Town Creek. Not only are there no primary sources to prove that one of the Shannons established a trading post there, but Town Creek did not run through the Owen Shannon League. After leaving Benjamin Rigby's League, Town Creek runs across the northern part of the John Corner League. If Owen Shannon and Margaret Montgomery Shannon or Jacob Shannon had been operating a trading post a half mile north of the present site of the town of Montgomery, they would have been trespassing on land purchased by William C. Clark on January 1, 1831 from John Corner. See Timeline section above. As obvious as this mistake is, several more Montgomery County histories would be written trying to place a trading post owned by a member of the Shannon family on the John Corner League. A couple of later historians will try and cure this obvious problem by just arbitrarily moving the trading post to a new location with the historian's pen. "Bessie: I am sending you this to read. It is not a history, and I don't think you will care to copy it. I didn't pretend to write a history, and I don't know who changed this title, when copying it. I just strung along my memories of what my mother and others had told me, interspersed with "scraps" that I thought 16-year-old boys and girls might like. I learned later from Matilda Rankin that the Charles Jones Academy was chartered before 1850. And Old Dan Tucker was not written until sometime after this period. I knew that at the time, and I meant to substitute another tune later when I could find one that was popular then. Mrs. Dewey Dikeman has a copy of this, but I am sure you will not lose it. Keep it until you have read it and copied anything you like. This note may prove to be the single most important document to the correction of the early history of Montgomery County. The author of one of the single most influential histories in Montgomery County history especially with regard to the historiography of the Montgomery Trading Post, wrote Bessie Price Owen a note at the end of the paper and specifically advised her that "it is not a history" and that she "didn't pretend to write a history." Mary Davis then goes on to make it very clear to Bessie Price Owen that she just "strung along my memories of what my mother and others had told me." Combined with the references to the Charles Jones Academy and Old Dan Tucker, it is obvious that she did no primary research. The whole thing is based on pure hearsay. And in my research on the Indian trading post, the "old town" of Montgomery and the "new town" of Montgomery, I never ran across Mary Davis' mother, Melissa Landrum, as one of those having anything to do with the establishment of the trading post or the town. In fact it appears that Melissa Landrum was born in 1834. She was about 1 when the trading post was founded by W. W. Shepperd in 1835. Melissa Landrum was about 3 when "the old town of Montgomery" was founded in 1837 and she was about 4 when the "new town of Montgomery" was founded in 1838. When W. W. Shepperd sold his interest in the town of Montgomery to James McCown in 1839, Melissa Landrum was about 5. The most influential local historian of her time (Mary Davis), admitted in no uncertain terms to one of the most influential local historians of her time (Bessie Price Owen) that her history paper was not a history. She admitted it had errors and was based entirely on hearsay. She put together a bunch of stories that she thought would interest a class of teenagers. Instead, she influenced every historian and history that came after her. Mary Davis died in 1944. The pen is mightier than the sword. Look at all the trouble Early History of Montgomery has caused. In 1938, Mary Davis did not have a clue as to the effect her paper would have on future historians. She just thought she was trying to get some teenagers excited about the town's early history. Anna Landrum Davis had relied on her aunt, this same Mary Davis, when she wrote her essay in 1925. In 1949, the Montgomery County Historicade will rely on this 1938 Mary Davis paper almost word for word. In 1950, W. N. Martin will rely on this 1938 Mary Davis paper in his master's thesis. In 1952, William Harley Gandy will rely on this 1938 Mary Davis paper in his master's thesis. Following the founding of the Montgomery Historical Society in 1955, the booklet, The Choir Invisible, will be published and will not only rely on the 1938 Mary Davis paper, but will quote it word for word in many places throughout the booklet. And, as we have seen here in this note from Mary Davis to Bessie Price Owen, Mary Davis herself did not even consider the 1938 paper a history: "It is not a history." "I didn't pretend it was a history..." "I just strung along my memories of what my mother and others told me." We are also left to wonder who the "others" were. The Mary Davis paper did not provide footnotes or endnotes. The Mary Davis paper does not cite a single primary historical source. This paper which was not intended by its own author to be received as a history has been cited as an historical source over and over again since it was originally written in 1938. Note: A copy of Lloyd A. Biskamp's book, Old Montgomery, from which this revelation comes, is now available for research in the Reference Area of the Charles B. Stewart West Branch Library of the Montgomery County Memorial Library System. Early History of Montgomery rejects the earlier theory propounded in Anna Landrum Davis' essay Old Montgomery that someone named James Montgomery and his wife Margaret Montgomery were the source of the name of the town and replaced them with Jacob Shannon's trading post called "Montgomery" named after Jacob Shannon's mother, Margaret Montgomery Shannon. Introduction of a second Jacob Shannon trading post. Mary Davis made it very clear to her friend Bessie Price Owen in a note at the end of her paper that "It is not a history" and "I didn't pretend to write a history" and that "I just strung along my memories of what my mother and others told me." Not a single primary source has ever been located to prove the existence of a trading post established and operated by Jacob Shannon on the creek that later became known as Town Creek. Montgomery was not "one of the twenty-five municipalities of Texas." Montgomery was a town and was not founded until July 1837. Montgomery was never a municipality. There were only twenty-three municiplities in Texas at the time of the Texas Revolution and Montgomery was not one of them. Mary Davis' paper indicates a complete lack of knowledge of the settlement in Austin's Second Colony known as the Lake Creek Settlement. I would like to make a mention of Lulu Shannon who obviously played a role in shaping the Montgomery Trading Post Myth. Lulu Shannon's gravesite is located in the Jacob Shannon Evergreen Cemetery near Dobbin, Texas. Her headstone indicates that she was born February 23, 1891 and died July 21, 1961. As seen in the quote above, Lulu Shannon clearly influenced Mary Davis in the writing of her 1938 paper. Mary Davis wrote, "The Shannons say that it was given the name of Montgomery for the family name of Jacob Shannon's mother, Margaret Montgomery." The only living member of the Shannon family mentioned by name in the 1938 Mary Davis paper, as providing information, was Lulu Shannon. In his 1952 thesis below, William Harley Gandy notes that he interviewed Miss Lulu Shannon on June 10, 1952. See page 47 and 215 of Gandy's thesis, A History of Montgomery County, Texas. Robin N. Montgomery also mentions a "personal interview with Lulu Shannon" in footnote 22 on page 104 of his 1975 book, The History of Montgomery County. See below. As with Mary Davis and Anna Landrum Davis, Lulu Shannon was born many decades after the events alleged and could not have possibly had any actual personal knowledge of the events. Here again, Folklore X Decades of Repetition = Fact. According to her headstone, Lulu Shannon was born on February 23, 1891. Lulu Shannon was born about 56 years after W. W. Shepperd bought the land from William C. Clark upon which Shepperd established the store/trading post in 1835. Lulu Shannon was born about 53 years after the town was founded and the county was created in 1837. The birthdates of the so-called "oldtimers," Anna Landrum Davis, Mary Davis and Lulu Shannon, prove that none of them had any personal firsthand knowledge of the "history" or events they began reducing to writing in the early 20th century. Nothing written by these ladies can be considered a primary source and much of what they have written clearly conflicts drastically with actual primary documents dating from the 1830's, 1840's, 1850's and even the 1870's. On page 1125 of East Texas, Its History and Its Makers, Vol. III, published in 1940 by the Lewis Historical Publishing Company, New York, we find an article about Montgomery County. "Montgomery County as created December 14, 1837, comprised all that part of Washington County lying east of the Brazos River, and extended to the Trinity, including all or parts of the present Counties of Grimes, Walker, San Jacinto, Madison and Waller...The site chosen for the county capital was donated by William Shepherd, and after reserving a plat for the courthouse, the county commissioners deed the remaining ninety-six and one half acres to James McCown for building the first courthouse, a one story log building...The town and county were named for General Richard Montgomery, who served as a delegate from Dutchess County in the first New York Provisional Assembly, and was killed at Quebec December 31, 1775." As in other histories quoted in this article, the reader is again cautioned against relying on any of the information contained in quotes as much of it is incorrect. Author, T. C. Richardson and his editor, Dabney White, like all their predecessors (Thrall, Texas Almanac and State Industrial Guide, and Fulmore) provide no primary sources, footnotes or citations for the details reporting General Richard Montgomery as the source of the name of the town and county. As the information is so similar, they apparently relied on Z. T. Fulmore's The History and Geography of Texas as Told in County Names. See 1915 - Z. T. Fulmore above. There is no apparent knowledge of any of the local histories written by either Anna Landrum Davis or Mary Davis, as no mention is made of Jacob Shannon or his trading post allegedly named after the family name of his mother, Margaret Montgomery Shannon. Margaret Montgomery, wife of Owen Shannon, who founded the trading post." Photograph of the Souvenir Program from the First Annual Montgomery County Historicade held in 1949. See "Montgomery County Historical Commission" vertical file folder in Genealogy Department of the Montgomery County Memorial Library in Conroe, Texas. Anna Davis Weisinger in Her Home, "Magnolia." Mary Davis' niece, Anna Landrum Davis, who submitted the essay Old Montgomery in 1925 (see above) went to college briefly and later married a man by the name of Raymond Weisinger. Following her 5th Prize win in the Caldwell Prize Contest and the death of her aunt, Mary Davis, in 1944, Anna Landrum Davis Weisinger appears to have become "the authority" on Montgomery County history. In 1949, for the Montgomery County Historicade, the Historicade Committee turned to her for the history to be presented in the official Souvenir Program. We have already seen above that when Anna Landrum Davis wrote her history essay, Old Montgomery, in 1925 her aunt, Mary Davis, did much the real work and gave her niece, Anna, the credit for it. Here, Anna again borrowed heavily from 1938 Mary Davis paper, Early History of Montgomery, to write this new 1949 article. Anna changed the title of Aunt Mary's paper to History of Montgomery County. However, Anna signs the paper as its author. Underneath her byline, Anna does indicate that the information comes "From material collected by Miss Mary Davis, (deceased), Montgomery, Texas and numerous others." Anna does not tell us who the "numerous others" were. There are no footnotes or bibliography with this article. Another major change is that Anna Davis Weisinger rejects Jacob Shannon and replaces him with Owen Shannon. "Historians say that Montgomery was named for General Richard Montgomery who was killed in the battle Quebec in 1775. Old timers say, however, and we like to believe, that it was named for Margaret Montgomery, wife of Owen Shannon, who established the trading post...The county naturally took its name from the town." In the 1949 First Annual Montgomery County Historicade Souvenir Program, Anna Davis Weisinger rejects the theory found in her own 1925 essay Old Montgomery that an early settler named James Montgomery and his wife Margaret Montgomery were the source of the name of the town. She also rejects the theory of her aunt, Mary Davis, that Jacob Shannon's trading post called "Montgomery" named after Jacob Shannon's mother, Margaret Montgomery, was the source of the name of the town. Now Anna Davis Weisinger maintains that the town was named for Margaret Montgomery, the wife of Owen Shannon who established the trading post. Not a single primary source has ever been located to prove the existence of a trading post established and operated by Owen Shannon. Owen Shannon died in 1834. Not only have no primary source documents been located that would provide evidence that Owen Shannon established a trading post, but Owen Shannon makes no mention of the a trading post in his will. Also, the inventory of his estate does not mention a trading post or any goods. Click here to see Owen Shannon's will and estate papers, including the "Estimative Inventory of the Estate of Owen Shannon" prepared by Jesse Grimes, W. W. Shepperd and Mathew Hubert. Anna Davis Landrum's history in the Souvenir Program still indicates a complete lack of knowledge of the settlement in Austin's Second Colony known as the Lake Creek Settlement. "History does not repeat itself. The historians repeat one another." "The naming of the town is also a matter of controversy." the family of Jacob Shannon's mother, Margaret Montgomery." As we saw in the last section, Anna Davis Weisinger, with no explanation, had changed the establishment of the trading post from Jacob Shannon to Owen Shannon. Here, less than a year later, W. N. Martin changes the establishment of the trading post back to Jacob Shannon. Martin's thesis is fairly sloppy. In addition to the Montgomery Trading Post, inaccurate information appears on almost every page. "The original site of the town of Montgomery was located in the southwest corner of the Owen Shannon League. The application for this grant of land was made by a settler of Stephen F. Austin's fourth and last colony. Having met the necessary requisites provided for in the law of colonization of the State of Texas and Coahuila, Shannon received the league of 4,428 acres of land by a patent dated April 8, 1831." "The exact date of the establishment of the first town is not known, but it is believed to have been in the middle eighteen-thirties. The naming of the town is also a matter of opinion. Some historians say that the town was named for General James Richard Montgomery who fought in the Revolutionary War and was killed at the battle of Quebec in 1775. Most of the early settlers believe, however, that the town was named for the family of Jacob Shannon's mother, Margaret Montgomery." "At first the settlement of Montgomery was no more than a mere trading post established for the purpose of carrying on trade with friendly Indians and settlers who lived in the vicinity. This trading post was established on a creek, later known as Town Creek. It was here that Jacob Shannon exchanged goods with the Indians..."
"It was to this trading post that people from miles around came to obtain necessary supplies and to visit each other. Many travelers stopped to spend the night here or to secure information about other portions of Austin's colony and the people who were settling in Texas." "Sometime in the early history of the community the center of trade shifted, and the post was abandoned. The exact date of abandonment of the post is not known , but it was probably due to the fact that Jacob Shannon moved to another grant of land near the present town of Dobbin." To his credit, W. N. Martin uses qualifying language similar to previous trading post historians, i.e. "The naming of the town is also a matter of opinion" and "most early settlers believe." James Montgomery from the 1925 Anna Landrum Davis essay is resurrected here, but he is no longer the a settler down on Town Creek but instead he appears in the name of General James Richard Montgomery. Like Mary Davis and Anna Davis Weisinger before him, W. N. Martin provides no primary sources for his information about the alleged Jacob Shannon trading post. He makes it clear that his information was based on hearsay when he wrote, "Most of the early settlers believe, however that the town was named for the family name of Jacob Shannon's mother, Margaret Montgomery." Martin is obviously reporting people's beliefs and not information gleaned from any primary sources. It is also important to note that none of the "early settlers" were still living in 1950 when Martin wrote his thesis. The earliest settlers received their land grants in 1831. We can only assume Martin meant to say that most of the descendants of the early settlers believe. In A History of Montgomery, W. N. Martin rejects Anna Weisinger's assertion that the town was named for Margaret Montgomery, the wife of Owen Shannon who established the trading post. W. N. Martin returns to Jacob Shannon's trading post named for his mother, Margaret Montgomery. W. N. Martin asserts that "the original site of the town of Montgomery located in the southwest corner of the Owen Shannon League." W. N. Martin also changes the date the trading post was established and asserts it was in the mid-1830's. The original site of the town of Montgomery was not "located in the southwest corner of the Owen Shannon League." The original site of the town of Montgomery was located in the north-west corner of the John Corner League. The creek that later became known as Town Creek does not run through any part of the Owen Shannon League. "The exact date of the establishment of the first town" of Montgomery is known. The town of Montgomery was founded by W. W. Shepperd in July of 1837. W. N. Martin's thesis indicates a complete lack of knowledge of the settlement in Austin's Second Colony known as the Lake Creek Settlement. "How the county got its name is still a matter of controversy. it is with regrets that a definite conclusion could no be reached..."
Click here to read William Harley Gandy's thesis, A History of Montgomery County, Texas. "How the county got its name is still a matter of controversy." "How the county got its name is still a matter of controversy. Although the author made this as one of his main objectives to establish, it is with regrets that a definite conclusion could not be reached and only a hypothesis formed. In order to find a definite answer more time was spent on this one particular phase than any other of the entire study." Later historians never repeat this part of Gandy's thesis when citing what Gandy wrote regarding the source of Montgomery County's name. Gandy made it clear that his thesis did not answer the question regarding how Montgomery County got its name. Instead he provides three different theories. However, on page 45 of his thesis, Gandy states unequivocally that "The County of Montgomery took its name from the town of the same name, because the town was named before the county was created." Know one can argue with the fact that the town of Montgomery pre-dated the creation of the county. The town of Montgomery had been founded by W. W. Shepperd in partnership with J. W. Moody by July 8, 1837. The county would not be created until 5 months later on December 14, 1837. "There is still a difference of opinion concerning the origin of the name of the town." There is still difference of opinion concerning the origin of the name of the town. Some of the citizens and historians contend that Montgomery got its name from a Richard Montgomery, who was born in Ireland, and settled at King's Bridge, New York, in 1773. He served as a delegate to represent Dutchess County, New York in the first New York Provisional Assembly in 1775, and in the same year he [was] appointed Brigadier General. He was killed in a battle at Quebec December 31, 1775. Gandy cited Z. T. Fulmore as the source for this information about General Richard Montgomery. It is the more popular belief by the citizens and old timers, however, that the town of Montgomery was named from the family of Margaret (Magret, Margart, or Margit) Montgomery Shannon, wife of Owen Shannon. Owen Shannon and Jacob Shannon, his son, came to Texas in November 1821 and settled near San Augustine. They stayed there nine years before they were accepted in Austin's fourth colony, and in 1830 they moved to Montgomery County. Both father and son got a grant of land from the Mexican government. Jacob's grant of land was located where present day Dobbin now stands. He established a trading post on his grant which became known as Shannon's and its locality known as Shannon's Prairie. Owen Shannon and his wife, Margaret, settled on their grant of land which was located northeast of the of the present town of Montgomery. They likewise set up a trading post to trade with the Indians and settlers in that area. This trading post was established on a creek, later known as Town Creek, and since his son Jacob had named his post Shannon's, Owen named his store from his wife's maiden name, Montgomery. 19 Personal interview of the author with Lulu Shannon, Dobbin, Texas, June 10, 1952. Owen did not live long to operate his Montgomery trading post, for its is known that he died in late 1833 or the early part of 1834. Jacob Shannon became the executor of his father's will and estate, and for some time he continued running his father's trading post; but probably due to the expense of keeping two trading post going, he abandoned the Montgomery post and kept his own at Shannon's Prairie. This was the first time a historian would try and merge different theories into a single unified Montgomery Trading Post theory. Here he tried to weave together the conflicting Jacob Shannon trading version of the story with the later Owen Shannon trading post version of the story. Another local story has it that Montgomery took its name from William Montgomery, a surveyor and widower, who came to Texas in 1822 with his sons, John, Andrew, and Eddly Montgomery. In 1830 he settled some seven miles southwest of the town of Montgomery in what is present day Grimes County...It is claimed by descendents of these two brothers [John and Andrew] that the county was named for the surveyor William Montgomery.21 Personal Interview of the author with J. L. Montgomery, Richards, Texas, July 20, 1951. Note that as Gandy was never able to determine the ultimate source for the name of Montgomery County, i.e. the source of the name of the town of Montgomery, each of the theories above included qualifying language to introduce it: Theory #1 - "Some citizens and historians contend...", Theory #2 - "It is a more popular belief by citizens and old timers...", and Theory #3 - Another local story has it.... It is important to note that in later histories that quote Gandy, Gandy's qualifying language was left out altogether and these theories were presented as though they were well researched and properly supported FACTS. Gandy knew better and was academically honest enough to say so. Many of those who cited him did not bother to state that Gandy considered them hypotheses at best. This is a good example of how dangerous it is to cite secondary sources. Later historical writers will quote one of Gandy's theory and report it in their work as though it were an evidence supported fact and unless the reader goes back to Gandy's thesis as was done here, the reader has no idea that what he read as a fact actually had no real evidence to back it up in the first place. This is how one person's hypothesis becomes a later writer fact. "Well, its got a footnote, it must be true." "Another local story has it that Montgomery took its name from William Montgomery, a surveyor and widower, who came to Texas in 1822 with his sons, John Andrew, and Eddly Montgomery. In 1830 he settled some seven miles southwest of the [present] town of Montgomery in what is present Grimes County. Later two of his sons, John and Andrew, enlisted in Captain James Gillaspie's Company in 1836 and fought in the battle of San Jacinto. It is claimed by the descendants of these two brothers that the county was named for the surveyor William Montgomery. 21"
See pages 48 and 49 of Gandy's thesis. Footnote 21 reads, "21 Personal interview of the author with J. L. Montgomery, Richards, Texas, July 20, 1951." Note: The bibliography of Gandy's thesis provides the date June 20, 1952 for the interview with J. L. Montgomery. As most of Gandy's interviews for his thesis were conducted in 1952, the 1952 date is probably the correct year for his interview with J. L. Montgomery. It is important to note here that John Lee Montgomery was the grandfather of Robin Montgomery. In 1975, Robin Montgomery will write the first history of Montgomery County ever to be published in book form. As we will see, the Montgomery family will reject its own family tradition as maintained by John Lee Montgomery in 1952 and replace it with another story altogether, before the publication of Robin Montgomery's book, The History of Montgomery County in 1975. John Lee Montgomery will have been deceased about 9 years when his grandson, Robin Montgomery, publishes his book with the new version of the story. We will look at this in much more detail below in the sections about Robin Montgomery's 1962 Masters Thesis and his 1975 book. W. H. Gandy, in A History of Montgomery County, Texas, in Theory #2, further develops the idea of two trading posts being established and operated simultaneously by son, Jacob Shannon, near present day Dobbin; and by father, Owen Shannon, near present day Montgomery. In Gandy's version, Owen Shannon names his trading post "Montgomery" after his wife's family name because, Jacob Shannon has already named his trading post "Shannon's." Previous historians had located the trading post north of the present town of Montgomery. Here, in A History of Montgomery County, Texas, in Theory #2, W. H. Gandy moves the location of the trading post northeast of the present town of Montgomery. W. H. Gandy, in Theory #3, introduces the Montgomry family folklore/tradition provided to him by James Lee Montgomery. In 1952, the Montgomery family tradition provides that the county relieved its name from a settler and early surveyor named William Montgomery. James Lee Montgomery was the grandfather of future Montgomery County historian, Robin Navarro Montgomery. In 1952, James Lee Montgomery maintains that Montgomery County received its name from a surveyor named William Montgomery. In 1962 and later in 1975, Robin Montgomery will disregard his grandfather's family tradition and provide completely different explanations for the source of the name of the town and county. W. N. Gandy's thesis transcribes an advertisement from the July 2, 1845 edition of the Montgomery Patriot newspaper on page 73 of his thesis which mentions the Lake Creek Settlement for the first time ever in a Montgomery County history, but Gandy makes no not comment of any kind as to the significance of the Lake Creek Settlement to the history of Montgomery County. "An historian must not merely provide good relevant evidence but the best relevant evidence. is evidence which is most nearly immediate to the event itself ." The county naturally took its name from the town." The cover scanned above is of a reprint of The Choir Invisible made years later. We can credit Anna Davis Weisinger with writing most of booklet titled The Choir Invisible. The main text and photographs of The Choir Invisible are virtually identical to the text of the article "History of Montgomery County" in the 1949 First Annual Montgomery County Historicade Souvenir Program. "Historians say that Montgomery was named for General Richard Montgomery who was killed at the battle of Quebec in 1775. Old timers say, however, and we like to believe, that it was named for Margaret Montgomery, wife of Owen Shannon who established the trading post...The county naturally took its name from the town." The authors of The Choir Invisible repeat the Owen Shannon version of the Montgomery Trading Post Myth. The authors of The Choir Invisible were still very careful in 1959 to qualify their assertions regarding the source of the name when they wrote that "old timers say, however, and we like to believe, that it [Montgomery] was named for Margaret Montgomery, wife of Owen Shannon who established the trading post." Later writers will leave out any such qualifying language and report the Montgomery Trading Post as a fact. Though The Choir Invisible borrows heavily from Mary Davis' 1938 paper, Early History of Montgomery, it differs in one important area of our study. "When the colonists came, they found an Indian trading-post on Town Creek, about a half mile north of the present site of Montgomery. This was owned by Jacob Shannon, the great grandfather of the Shannons now living in Dobbin. " " The trading-post became a meeting place for everyone, a kind of community center. The Shannons say that it was given the name of Montgomery for the family name of Jacob Shannon's mother, Margaret Montgomery. It was called Montgomery, and there was a settlement large enough to be called a town, for the old settlers always spoke of it as "the old town under the hill," and Town Creek got its name from the fact that there was a town there." "Old timers say, however, and we like to believe, that it was named for Margaret Montgomery, wife of Owen Shannon who established the trading post...The county naturally took its name from the town." "In the beginning, Montgomery was founded at the foot of the hill on Town Creek, in 1830, when an Indian Trading Post was established. It was later called the "Old Town under the Hill"; but while still an infant town, it made the top in one jump." The Indian trading post/store was not established by Owen Shannon and it was not established in 1830. The trading post/store was established in 1835 by W. W. Shepperd. It is very important to note here that Town Creek is located on the John Corner League and not the Owen Shannon League. Owen Shannon could not have been operating a trading post on Town Creek unless he was trespassing on the John Corner League. John Corner would have had a few choice things to say about Owen Shannon operating a trading post on his land. The Choir Invisible borrows heavily from Mary Davis' 1938 Senior History Class Paper Early History of Montgomery. The first paragraph and the last paragraph of both documents are the same almost word for word. Mary Davis died in 1944 so she did not participate in the preparation of The Choir Invisible. It would appear that her niece, Anna Landrum Davis Weisinger participated in the preparation of The Choir Invisible. "West of the San Jacinto, Montgomery County was a part of Stephen Austin's fourth and last colony. This extended from the San Jacinto to the Brazos, and, on the north, to the old San Antonio Road. In the last report to the Mexican Government, Austin spoke of this colony as "The settlements on the San Jacinto." "West of the San Jacinto, Montgomery County was a part of Stephen Austin's fourth and last colony. This colony extended from the San Jacinto to the Brazos, and, on the north, to the old San Antonio Road. In the last report to the Mexican Government, Austin spoke of this colony as "The settlements on the San Jacinto." "West of the San Jacinto, Montgomery County was a part of Stephen Austin's fourth and last colony. This colony extended from the San Jacinto to the Brazos, and, on the north, to the old San Antonio Road. In his last report to the Mexican Government, Austin spoke of the Colony as "the settlements on the San Jacinto." "This delightful mode of life was brought to an end by the Civil War. Today it is only tradition, living in the memories of a few persons to whom its story was told by those who had lived it. Many of the brave, gay figures, who once made the colorful pattern of the community's life have left not a trace behind them, except here and there a name in faded legal records. In the old cemetery, their nameless graves are level with the earth. But to those of us who are aware of the continuity of ideals, the permanence of the intangible values of the past, these forgotten ones are among a "choir invisible" whose music has not wholly died away." "Today this history is only tradition is only tradition, living in the memories of a few persons to whom it was told by those who had lived it. Many of the brave, gay figures, who once made the colorful pattern of the community's and county's life have left not a trace behind them, except here and there a name in faded legal records. In the old cemeteries, the nameless graves are level with the earth. But to those of us who realize the continuity of ideals, the permanence of the intangible values of the past, these forgotten ones are among a "choir invisible" whose music has not wholly died away." "Today this history is only a tradition, living in the memories of a few persons to whom it was told by those who had lived it. Many of the brave, merry figures who once made the colorful pattern of the community's and county's life have left not a trace behind them, except here and there a name in faded legal records. In the old cemeteries, the nameless graves are level with the earth. But to those of us who realize the continuity of ideals, the permanence of the intangible values of the past, these forgotten ones are among a "choir invisible" whose music has not wholly died away." Not only was much of the material in The Choir Invisible copied from the 1938 Mary Davis' paper that had been re-titled Early History of Montgomery, but The Choir Invisible even owes its title to the last paragraph of Early History of Montgomery. "In the beginning, Montgomery was founded at the foot of the hill on Town Creek, in 1830, when an Indian Trading Post was established....Historians say that Montgomery was named for General Richard Montgomery who was killed in the battle of Quebec in 1775. Old timers say, however, and we like to believe that it was named for Margaret Montgomery, wife of Owen Shannon who established the trading post....The county naturally took its name from the town." The Choir Invisible now maintains that Owen Shannon established the Indian trading post. The founder of the trading post is no longer Jacob Shannon. Jacob Shannon has been thrown overboard all together by the compilers of The Choir Invisible and does not appear anywhere in the booklet at all. If an Indian trading post established by Jacob Shannon was the true history, where has he gone? Who decided he was no longer true history and omitted him? Like the writers before them, the compilers of The Choir Invisible have added or removed details of the Montgomery Trading Post Myth as they desired. The Montgomery Trading Post is nothing more than folklore created to explain the source of the name of the town and the county. And like most folklore, its writers have no problem changing details to suit themselves and make the story better. Notice the qualifying language used here by the compilers of The Choir Invisible, "Old timers say and we like to believe, that it was named for Margaret Montgomery, wife of Owen Shannon who established the trading post." The compilers were very careful not to state the alleged source of the name Montgomery as a fact. They were careful to write, "Old timers say and we like to believe..." However, like much folklore found in many local histories, the folklore of the Montgomery Trading Post story will become "fact" over time with the retelling in future histories of the county. The Choir Invisible indicates a complete lack of knowledge of the settlement in Austin's Second Colony known as the Lake Creek Settlement. There is no primary evidence of a trading post established by Owen Shannon. Margaret Montgomery herself referred to the location where she lived as the "precinct of Lake Creek" not Montgomery Settlement or Montgomery Trading Post. but to reproduce it from the best evidence and to let it speak for itself." with the Indians and exploring the country." In his 1962 Masters Thesis, Robin Montgomery introduced a couple of major changes in the story of the Montgomery Trading Post. He changed the original owner of the trading post from a member of the Shannon family to Andrew Montgomery. "For several years prior to the coming of the above mentioned settlers, Andrew, John and James Montgomery had their camp on what is now Town Creek about one-half mile north of the present town of Montgomery. This was their base of operation for trading with the Indians and exploring the country." A copy of this thesis can be found in the Montgomery County Memorial System Library in Conroe in the Genealogy Department. Strangely, this copy though titled A Survey of Colonial Education in Austin's "Upper Colony" Later Known as Montgomery County in the library catalog has been curiously re-named in the volume on the shelf. 37 years after Anna Landrum Davis wrote her local history essay, Old Montgomery, and mentioned a trading post operated by Jacob Shannon "about a half mile north of the present site of the town;" Andrew Montgomery is introduced as the owner of the trading post "about one-half mile north of the present town of Montgomery" for the first time in 1962. Robin Montgomery indicates a new owner of the trading post here, but locates it where Anna Landrum Davis originally suggested in her 1925 essay. As we will see below, Robin Montgomery will move the location of the trading post in his 1975 book, The History of Montgomery County. In his thesis, A Survey of Colonial Education in Austin's "Upper Colony" Later Known as Montgomery County, Robin N. Montgomery rejects James Montgomery and his wife Margaret Montgomery, Jacob Shannon, Owen Shannon, Margaret Montgomery Shannon and the various trading posts alleged to have been established by the Shannons as the source of the name of the town and county. Since the founding of the town of Montgomery in 1837, Robin N. Montgomery's 1962 thesis, written 125 years later, was the first written history to ever allude to Andrew Montgomery and his trading post as the source of the town and county's name. The trading post a half-mile north of the present site of the town of Montgomery on the creek that will later be known as Town Creek is no longer reported as being established by Jacob or Owen Shannon as it had been in histories since 1925. The trading post one-half north of the present town of Montgomery on the creek that will later became known as Town Creek is reported by Robin N. Montgomery in his 1962 thesis as having been established by Andrew Montgomery. In his thesis, Robin N. Montgomery also changes the date the trading post was established and asserts it was in the early 1820's. Not a single primary source has ever been located that proves the existence of a trading post known as the Andrew Montgomery Trading Post or any trading post established or operated by Andrew Montgomery about one-half mile north of the present town of Montgomery on the creek that later became known as Town Creek. Not a single primary document has ever been located that makes any mention of an Andrew Montgomery Trading Post. Many primary source documents exist and have been located proving that W. W. Shepperd established and operated the trading post/store about one-half mile north of the present site of the town of Montgomery on the creek that will later be known as Town Creek. Not a single primary source has ever been located that mentions that Andrew Montgomery had a camp on the creek that later became known as Town Creek. Robin N. Montgomery's thesis rejects the family tradition Gandy received from Robin N. Montgomery's grandfather, John Lee Montgomery, in 1952. John Lee Montgomery advised Gandy that the county got its name from a surveyor named William Montgomery, not his son, Andrew Montgomery. R. N. Montgomery's 1962 thesis makes no mention of the settlement in Austin's Second Colony known as the Lake Creek Settlement. "Many things which are false are transmitted from book to book and gain credit in the world." but to reproduce it from the best evidence and to let it speak for itself. Andrew Montgomery lies in the events surrounding his trading post. ..
around which the settlement of the later Montgomery County region revolved. among this gradually expanding circle of settlement. from the town of Montgomery which in turn had been named for Andrew Montgomery." Published in 1975, The History of Montgomery County by Robin Montgomery was the first history of Montgomery County published in book form with "Montgomery County" stated as the subject of the book in the title. Up until the publication of Robin Montgomery's book, histories focusing specifically on the history of the town of Montgomery or Montgomery County had been either in the form of a high school history essay or paper, college theses, a souvenir program, or a booklet. E. L. Blair's 1930 book, Early History of Grimes County, included many details regarding the early history of Montgomery County but did not mention Montgomery County in its title. In his book, E. L. Blair, focused much of the book's non-bigraphical content on the early history of the territory that became Montgomery County before Grimes County was created out of a portion of its territory in 1846. It is clear that Robin Montgomery relied heavily on E. L. Blair's 1930 book, Early History of Grimes County, as a source for many details regarding the early history of Montgomery County as well as some of the biographies which he related in his book, The History of Montgomery County. However, it is important to note that Andrew Montgomery who is the central figure in Robin Montgomery's book was only mentioned in a genealogy of the William Montgomery family in Blair's book. The terms "Montgomery Trading Post," "Montgomery Settlement" and "Montgomery Prairie" appear nowhere in Blair's book. Robin Montgomery's book was published thirteen years after his thesis. The book repeats Robin Montgomery's assertion that the town and county were name for Andrew Montgomery and his trading post. As in his thesis, Owen Shannon and Margaret Montgomery Shannon were summarily dismissed as the original owners of the trading post that the town and the county would derive their names from; and Andrew Montgomery was substituted in their place. "Meanwhile, Andrew, who was courier boy for the Long Expedition had explored the Upper and Lower Coushatti Traces and Loma del Toro, established a trading post at the confluence of the Loma and Lower Trace. Since this Montgomery Post emerged about two miles from the present town of Montgomery, Texas about 1823, that town may trace its origins to that date." According to this quote and the map opposite page 1 in The History of Montgomery County, the Andrew Montgomery Trading Post would have been located about two miles northwest of the present town of Montgomery. This is a totally new location for the trading post not seen in any prior history including Robin N. Montgomery's own 1962 essay, A Survey of Colonial Education in Austin's "Upper Colony" Later Known as Montgomery County. See above. "This book has shown that the reason the town and county came to be named for Andrew Montgomery lies in the events surrounding his trading post. Having established the post in 1823 at the crossroads of the Lower Coushatti Trace and the Loma del Toro, Andrew set about encouraging settlers to venture down these roads to become his neighbors and clientele...In forwarding directions back to their relatives and friends to follow them, the settlers indicated the utility of journeying over one of the Coushatti Traces and/or the Loma del Toro to Andrew's Trading Post from where they could receive more specific directions. In this manner Andrew's Trading Post became the major pivot point around which the settlement of the later Montgomery County region revolved. In the process Andrew's last name became a unifying element among this gradually expanding circle of settlement. Thus it was a logical process for Montgomery County to receive its name from the town of Montgomery which in turn had been named for Andrew Montgomery." Robin Montgomery introduced another major change in the Montgomery Trading Post story in his book. The location of the trading post changed. Instead of being located about a half mile north of the present town of Montgomery, it was now located about two miles northwest of the town. The trading post has moved around since Anna Landrum Davis mentioned a trading post in 1925. Originally it was a half mile north of town on the creek that later became known as Town Creek and now it is located about two miles northwest of the town at the crossroads of the Loma del Toro and the lowere Coushatti Trace. The burden of proof, for any historical assertion, always rests upon its author. Just like the elusive Jacob Shannon Trading Post supposedly named after his mother and the elusive Owen Shannon Trading Post supposedly named after his wife, not one primary document has been found that mentions an Andrew Montgomery Trading Post. And yet, throughout his 1975 book, The History of Montgomery County, Robin N. Montgomery makes a number of very specific historical assertions about an Andrew Montgomery Trading Post. Very specific details are provided about the so-called Andrew Montgomery Trading Post and the events which occurred there, but there are no primary sources cited that support the specific facts alleged. "Andrew...established a trading post at the confluence of the Loma [del Toro] and the Lower [Coushatti] Trace. Since this Montgomery Post emerged about two miles from the present town of Montgomery, Texas about 1823, that town may trace its origins to that date." No footnote or endnote citing a source for this information is provided on page 89. No primary source document has ever been located by anyone that mentions an Andrew Montgomery Trading Post. If the trading cannot even be proven to have existed with so much as a single primary historical document, how can specific detailed activites and events be described as happening there? It is also important to note here that in Robin N. Montgomery's 1962 thesis, the Andrew Montgomery Trading Post was located about one-half mile north of the present town of Montgomery on the creek later known as Town Creek. In the 1975 book, the Andrew Montgomery Trading Post is no longer on Town Creek but is about two miles west of the present site of the town of Montgomery. "The president of this rebel republic, Martin Parmer...journeyed to the west along the Lower Coushatti Trace where he came in contact with Andrew Montgomery at his trading post along the route." Footnote 8 appears at the bottom of this paragraph. Footnote 8 cites the section in L. W. Kemp's book, Signers of the Texas Declaration of Independence, about Martin Parmer, on pages 147-154. Kemp however makes no mention of Martin Parmer journeying "to the west along the Lower Coushatti Trace" or of Martin Parmer coming "in contact with Andrew Montgomery at his trading post along that route." There is no footnote or endnote citing a source for this information provided on page 93. Again, no primary source document has ever been located by anyone that mentions an Andrew Montgomery Trading Post. "In 1827, they [Owen and Margaret Shannon] came over the Lower Coushatti Trace to settle near the trading post of Margaret's nephew, Andrew Montgomery. At the time of their arrival, the area had already become known as Montgomery Prairie due to Andrew's influence. It continued to carry that name even after Andrew relinquished ownership of the post to Owen Shannon and his wife Margaret Montgomery Shannon around 1829..."
Again, no footnote or endnote citing a source for this information is provided on page 99. All previous local written histories had maintained that either Jacob Shannon or Owen Shannon had established a trading post. Again, no primary source document, not one, has ever been located by anyone that mentions an Andrew Montgomery Trading Post. "Around 1827, they made their way down the Lower Coushatti Trace to help swell the population of Montgomery Prairie around Andrew Montgomery's trading post." According to this excerpt, there was a swelling population around Andrew Montgomery's trading post. And yet, this swelling population left no written record of the trading post's existence. There is a footnote 26 at the end of this paragraph, but the sources cited, including the "Crittenden Papers," say nothing of a trading post established, owned or operated by Andrew Montgomery. Between the writing of Robin Montgomery's thesis, A Survey of Colonial Education in Austin's "Upper Colony" Later Known as Montgomery County, in 1962 and the publication of his book, The History of Montgomery County, in 1975, another major change would occur in the history of the trading post. This detail would focus on the location of the trading post. "Andrew...established a trading post at the confluence of the Loma [del Toro] and the Lower [Coushatti] Trace. Since this Montgomery Post emerged about two miles from the present town..."
With a stroke of a pen, the so-called Andrew Montgomery Trading Post moved two miles north west of the location alleged by Robin Montgomery in 1962. In 1962, Montgomery changed the ownership of the trading post from a member of the Shannon to Andrew Montgomery. But, in 1962, he left the location of the trading post about a half mile north of town on what is now Town Creek as some of the earlier historians had wrtten before him. Now, in 1975, the trading post suddenly moves two miles northwest of the present town. Forest Park Lawndale Cemetery, Houston, Texas, Section M.
It is critical to note that the source Robin N. Montgomery cites as the "Crittenden Papers" in his 1975 book, The History of Montgomery County, makes no mention of an Andrew Montgomery Trading Post anywhere in the entire document. George M. Crittenden was an auditor for the Port Terminal Railway Association in Houston, Texas. Crittenden was an amateur historian who wrote a biographical sketch of the Stoneham Family in what is today Grimes County, Texas. The Crittenden manuscript is virtually unsourced and contains mostly hearsay, i.e. what people told him almost a century after the events themselves occurred. Robin N. Montgomery cites this manuscript which he called the "Crittenden Papers" quite often in his 1975 book, The History of Montgomery County, as well as some later books and articles. As such, the 1975 book often reads more like a history of early Grimes County than an early history of Montgomery County. The life of Robin N. Montgomery's ancestor, Andrew Montgomery, also seems to be the main theme of The History of Montgomery County. Prior to the founding of the town of Montgomery in the Lake Creek Settlement in 1837, Andrew Montgomery had never established a trading post there and for that matter had never lived there. "This book has shown that the reason the town and county came to be named for Andrew Montgomery lies in the events surrounding his trading post...In this manner Andrew's Trading Post became the major pivot point around which the settlement of the later Montgomery County region revolved. In the process Andrew's last name became a unifying element among this gradually expanding circle of settlement. Thus it was a logical process for Montgomery County to receive its name from the town of Montgomery which in turn had been named for Andrew Montgomery." Again, not one primary historical document was cited in the 1975 book, The History of Montgomery County to support the assertion that Andrew Montgomery established a trading post. It is clear from many records that the lands surrounding the site where the town of Montgomery was founded were known as the Lake Creek Settlement and not "Montgomery Prairie" or "Montgomery Settlement." There are no primary historical documents that prove that Andrew Montgomery ever even lived in the Lake Creek Settlement or what is today Montgomery County prior to the founding of the town of Montgomery in 1837. "There is yet debate over the origin of the name of the county. Numerous theories have been proffered, including by this writer, but in the final analysis all are unproved beyond a reasonable doubt." However some sources still report the Andrew Montgomery theory as fact. See the article about Montgomery, Texas written by Robin N. Montgomery at the Handbook of Texas Online. All of the previous local historians (Anna Landrum Davis, Mary Davis, Anna Davis Weisinger, W. N. Martin, W. H. Gandy, and The Choir Invisible) prior to Robin N. Montgomery had made some mention of W. W. Shepperd's role in the founding of the town of Montgomery. 1925 Anna Landrum Davis - Old Montgomery - "William Shepperd donated 100 acres to the county commissioners for the county seat." 1938 Mary Davis - Early History of Montgomery - "In 1837, an enterprising land owner platted a town on the present site of Montgomery, and agreed to give sixty acres of land to pay for building a courthouse and jail, if Montgomery should be selected for the county seat." 1949 Anna Davis Weisinger - Montgomery County Historicade Souvenir Program - "It was several months before the county was created that an enterprising land owner, William Sheppard, platted a town on the present site of Montgomery and agreed to give sixty acres of land to pay for the building of a courthouse and jail if Montgomery should be selected for the County seat." 1950 W. N. Martin - "On February 28, 1838, John Corner sold to Wm. W. Shepperd six hundred acres of land lying in the northwest corner of his league of land. In 1838, in the October term of the Montgomery County Commissioners Court, Wm. W. Shepperd and C. B. Stewart were appointed as special commissioners to assist the court in drafting a plan of the town of Montgomery and to contract for surveying of the town site. Shepperd agreed to give sixty acres of land to pay for building a courthouse and jail." 1952 William Harley Gandy - "He [John Corner] sold much of his league to Wm. W. Shepperd, a land speculator...The first indication that a new county would be created from Washington County appeared in the Telegraph and Texas Register, July 8, 1837, advertising lots in the newly organized town of Montgomery. The article was written at Montgomery on the fourth of July, 1837, by W. W. Shepperd stating that, "It is expected that a new county will be organized, at the next session of congress, embracing this section of country..." When the new town of Montgomery was plotted by W. W. Shepperd and C. B. Stewart, its organizers, the site chose was located about one-half of a mile from the banks of the creek where the post had been, to its present site, a higher more healthy location." 1959 The Choir Invisible - "It was several months before the county was created that an enterprising land owner, William Sheppard, platted a town on the present site of Montgomery and agreed to give sixty acres of land to pay for the building of a courthouse and jail if Montgomery should be selected for the County seat...On March 1, 1838 - Commissioner's Court met and accepted donation of W. W. Sheppard of 60 acres of pine land for county purposes...October, 1838 - Court ordered that in the event purchase price of $800.00 for court house shall not e paid as per contract in one year from date, same shall revert to W. W. Sheppard and he shall be entitled to reasonalbe rent...April 1, 1840 - W. W. Sheppard sold his part of town tract, including house used as court house, to James McCown." However, as in Robin N. Montgomery's 1962 thesis, W. W. Shepperd's role as the founder of the Town of Montgomery is completely absent from The History of Montgomery County. Robin Montgomery had relied on most, if not all, of these earlier sources in writing his book. Why he chose to completely ignore W. W. Shepperd's extensive role as founder of the town of Montgomery is left to speculation. In fact, in his book, no reference is made to the founding of the town of Montgomery in 1837 at all! There is not even a reference to the founding of the town of Montgomery in the chapter titled "Montgomery and Danville." The History of Montgomery County just jumps from dates and events before the founding of the town of Montgomery to dates and events after the founding of the town of Montgomery with no explanation. Robin N. Montgomery was obviously aware of the existence of W. W. Shepperd at the time he wrote The History of Montgomery County in 1975 as he mentions him on pages 232, 233, and 235 of his book. These references have to do with W. W. Shepperd accusing "James W. Parker of having instigated the Fort Parker Massacre" and of being a horse-thief and a counterfeiter. Other than this one episode, W. W. Shepperd is absent from Robin N. Montgomery's book, The History of Montgomery County. In 1835, W. W. Shepperd was the founder of the original trading post/store in the middle of the Lake Creek Settlement about a half mile north of the present town of Montgomery on the creek that later became known as Town Creek. His store was known as "the store of W. W. Shepperd on Lake Creek." Shepperd's store was the center of activity in the Lake Creek Settlement. W. W. Shepperd founded the town of Montgomery later known as the "old town of Montgomery under the hill" in the Lake Creek Settlement in July 1837. Shepperd founded and named the town Montgomery in association with J. W. Moody, the First Auditor of the Republic of Texas. Before coming to Texas, J. W. Moody had served as the County Clerk of Montgomery County, Alabama. The town of Montgomery, Texas is named after Montgomery County, Alabama. Shortly after the founding of the town, W. W. Shepperd became the agent of Telegraph and Texas Register newspaper in the Town of Montgomery. Shortly after the town was founded, W. W. Shepperd became the first postmaster of the town of Montgomery and his store was the first post office in the Lake Creek Settlement and what later became Montgomery County. When Montgomery County was created in December of 1837, it was named for the town founded by W. W. Shepperd in July of 1837. First county seat of Montgomery County was located in W. W. Shepperd's town of Montgomery. It was picked by the nine commissioners appointed by the Act that created Montgomery County. Chief Justice Jesse Grimes was holding court there and County Clerk Gwynn Morrison was recording documents there as early as February of 1838 . W. W. Shepperd founded the "new town of Montgomery on the hill" and persuaded Montgomery County Commissioners' Court to move the county seat to the new site of the town by donating land in the new town to the county on March 1, 1838. This land donation to the county was made through Shepperd's agent and son-in-law, Charles B. Stewart. First courthouse of Montgomery county was a house owned by W. W. Shepperd that the county agreed to buy, or if it did not buy the house, then the county agreed to pay reasonable rent for the period the house was used as the courthouse. In his book, The History of Montgomery County, Robin Navarro Montgomery rejects the location of the Andrew Montgomery trading post he had asserted in his 1962 thesis. In his 1962 thesis, the trading post was located "about one-half mile north of the present town of Montgomery." Robin N. Montgomery now asserts that the trading post was located about 2 miles northwest of the present site of the town of Montgomery. Not a single primary document has ever been located that mentions an Andrew Montgomery Trading Post. Not a single primary document has ever been located to prove that a road called the Loma del Toro intersected the Lower Coushatti Trace two miles northwest of the present town of Montgomery. The Loma del Toro (Hill of the Bull) was described in the Mexican boundary description of Burnet's Colony and the boundary description of Vehlein's Colony. The Loma del Toro was located on the boundary between those two colonies and was not located in Austin's Colony where the town of Montgomery would later be founded. Robin Navarro Montgomery's 1975 book makes no mention of the Lake Creek Settlement whatsoever. Had Andrew Montgomery operated a trading post at the location alleged by R. N. Montgomery, Andrew Montgomery would have been doing so as a squatter in Austin's Second Colony. Both Stephen F. Austin and the other Mexican authorities would not have tolerated a squatter openly operating a trading post on land that had not been granted to him by the Mexican government. At a Special Board meeting of the Montgomery Historical Society held on Friday, November 5, 2010 held at The Caroline House Bed & Breakfast located at 811 Caroline Street in Montgomery, Texas, Robin N. Montgomery and Kameron Searle were both permitted to make short presentations about their research and beliefs regarding how the town of Montgomery got its name. During that meeting Kameron Searle specifically asked Robin Montgomery if he had ever seen a single primary source document that mentioned an "Andrew Montgomery Trading Post." Montgomery answered "No" to Searle's question before the Board and all of those present at the meeting. Due to two recent discoveries, the argument concerning an Andrew Montgomery Trading Post being operated by Andrew Montgomery in what is today western Montgomery County has become completely moot. According to the book, The History of Montgomery County, written by Robin Montgomery, Andrew Montgomery operated a trading post between the years 1823 and 1829 in what is today western Montgomery County. This cannot be a correct historical assertion as Andrew Montgomery was living in Miller County in the Arkansas Territory during this time period. See transcription of 1825 Miller County Petition and 1828 Miller County Petition. As one of the "inhabitants" and "settlers" of Miller County, Arkansas Territory, Andrew Montgomery signed a petition to the President of the United States in 1825. This petition complained of treaties made with the Choctaw Indians in the Arkansas Territory and the threat these treaties posed to the settlers claims to the lands they had settled upon. Andrew Montgomery signed the petition along with his father William Montgomery and several of his in-laws claiming to be "Citizens of the United States." In-laws signing the petition along with Andrew Montgomery and his father, William Montgomery, included J.G.W. Pierson, Franklin Greenwood, Joel Greenwood and Henry B. Greenwood. The settlement where the Montgomerys, the Piersons and the Greenwoods were living in Miller County in the Arkansas Territory was almost 300 miles away from where the non-existent Andrew Montgomery Trading Post was supposed to have been located in what is today western Montgomery County. 1981 Montgomery County Genealogical Society, Inc.
1991 Harry G. Daves, Jr. Though he believed whole heartedly in the existence of a trading post established by the Shannons known as the Montgomery Trading Post, Harry G. Daves, Jr. did a lot to introduce readers of Montgomery County history to the Lake Creek Settlement. Even though the so-called Montgomery Trading Post never existed, Harry G. Daves, Jr. deserves a great deal of credit for his groundbreaking historical work regarding the Lake Creek Settlement. This long forgotten settlement was located in Austin's Second Colony between the west fork of the San Jacinto River and the stream known as Lake Creek. Previous writers of Montgomery County history had referred to the place where the so-called Montgomery Trading Post was alleged to have been located as the "community of Montgomery," "the Montgomery Settlement" and "the Montgomery Prairie." Daves appears to have been the first Montgomery County historian to realize that the settlement was actually called the Lake Creek Settlement. Daves only cited a couple of Lake Creek Settlement documents in his article and does not appear to have pursued any further research into the Lake Creek Settlement itself. He was convinced of the existence of the Lake Creek Settlement by the two documents he had located. It is important to note that more than 70 Lake Creek Settlement primary source documents have now been located by Kameron Searle over the last ten years. Click here to read more about the Lake Creek Settlement. Harry G. Daves, Jr. was almost certainly the historian who introduced Bessie Price Owen and William Harley Gandy to the existence of the Lake Creek Settlement between 1991 and 1993. See Bessie Price Owen section below. Also see the short article, "Margaret Montgomery Shannon" written by Harry G. Daves, Jr., for the December 1992 edition of Stirpes, Volume 32, Number 4, pp. 220 -222. Stirpes is the Texas State Genealogical Society Quarterly. Harry G. Dave, Jr's gravesite is located in the Jacob Shannon Evergreen Cemetery near Dobbin, Texas. Several of the earlier historians had reported a trading post owned by Jacob Shannon or Owen Shannon as being named for the family name of Margaret Montgomery Shannon. Margaret was the mother of Jacob Shannon and the wife of Owen Shannon. It is in the 1992 Stirpes article that Margaret Montgomery Shannon finally comes into her own. "Margaret had a trading post on the land she lived on in 1830..."
Harry G. Daves was the first historian to suggest that Margaret Montgomery Shannon was the owner of the trading post instead of her son, Jacob Shannon, or her husband, Owen Shannon. Like earlier historians of the Montgomery Trading Post, no primary evidence was cited that proved this assertion. Daves was aware that Owen Shannon's will made no mention of a Montgomery Trading Post or any trading post goods. So he decided that Margaret Montgomery Shannon must have owned the trading post as her separate property. Like many of the previous historians he made this decision with no real evidence to back it up. Daves rejects Andrew Montgomery as having established the trading post. Daves rejects Jacob Shannon as having established the trading post. Daves rejects Owen Shannon as having established the trading post. Now, Margaret Montgomery Shannon owned the trading post. No primary sources have ever been located or cited for a trading post established or owned by Margaret Montgomery Shannon. Little Lake Creek and Town Creek were two different creeks. Little Lake Creek was located on the Owen Shannon's League. Town Creek was located on the John Corner League. Daves appear to use the two creeks interchangeably here. "There seem to be different accounts of the Montgomery Trading Post from different sources...Both accounts appear to be based on family legend." "I am sorry to inform you that the Board has voted not to approve this application for a marker. In making their decision, the board members took into consideration the relative lack of concrete information on the Montgomery and Shannon trading posts and their locations, as well as the lack of documented historical significance. One member suggested that he might be willing to consider a new application with a wider focus on the history of the entire Lake Creek Settlement." In 1991, local historian, Bessie Price Owen, applied to the Texas Historical Commission for a historical marker for the so-called Montgomery Trading Post. This application was not granted. In a September 20, 1991 letter from the Texas Historical Commission placed the application on hold. The headstone of Catherine Elizabeth "Bessie" Price Owen in the New Cemetery in Montgomery provides a birth date of September 27, 1913. She died August 19, 2004. Bessie Price Owen had a BS from Texas Women's University and a MA from Sam Houston State University. She was a founder of the Montgomery Historical Society. She taught school in Dobbin, Texas from 1934-1949. She taught school in Montgomery, Texas from 1949 to 1979. Mrs. Owen applied for Texas State Historical markers for many of the old historical homes in Montgomery, Texas. Many of these Texas State Historical markers were approved and the markers can be seen in front of houses around the town. In 1991, Mrs. Owen also tried to obtain a Texas State Historical marker for the so-called Montgomery Trading Post. Her marker application ran into difficulties immediately after the application was filed with the Texas Historical Commission (THC). The THC sent the following letter to Bessie Owen following their preliminary review of the Montgomery Trading Post marker application and advised her that the THC was placing the application on hold. Our staff has made a preliminary review of the above-referenced marker application. Before we can complete our evaluation, however, we need the following information. We will place the application on hold until all requested material has been received. 1. There seem to be different accounts of the Montgomery Trading Post from different sources. While this narrative specifically attributes the establishment of the trading post to Owen and Margaret Montgomery Shannon, Robin Montgomery's, The History of Montgomery County (Austin: Jenkins Publishing, 1975), just as specifically states that it was Andrew Montgomery who established the trading post. Both accounts appear to be family legend. Without clear documentation to support one or the other account, we may not be able to state categorically in the marker just who did actually establish the trading post. We are not disputing the fact that the trading post did exist; however, the eventual marker text may need to put forth both versions in order to remain objective. 2. What sources were used in the preparation of Henry [Harry] Dave's Owen Shannon Family? We would like to see more concrete documentation for facts contained in the narrative, especially with respect to military records and land grants. Please provide primary citations for those items from archival sources. 3. While the narrative gives a good deal of information on the Shannon and Montgomery families, very little is given on the trading post itself. Can you provide more specific information on the trading post, such as type of building, years of operation, sorts of goods handled, people served, etc.? The narrative says the post was located on a crossroads -- to which roads are you referring? Was it located on Town Creek at this particular point because of an historic crossing point on the creek (i.e. a low water point, etc.)? You also stated that many people often spent the night at the trading post -- did it also function as a sort of hotel or inn? "There seem to be different accounts of the Montgomery Trading Post from different sources." "Both accounts appear to be based on family legend." "We would like to see more concrete documentation for facts contained in the narrative... Please provide primary citations for those items from archival sources." "...very little [information] is given on the trading post itself. Can you provide more specific information on the trading post...?" These are some of the biggest problems with the Montgomery Trading Post Myth. Outsiders with no emotional attachment to the story can see these problems easily and quickly. The Texas Historical Commission observed all these problems on their "preliminary review" of the marker application. The Montgomery Trading Post marker application was never approved. The State Marker Review Board has completed its evaluation of the above-referenced historical marker application. I am sorry to inform you that the Board has voted not to approve this application for a marker. In making their decision, the Board members took into consideration the relative lack of concrete information on the Montgomery and Shannon trading posts and their locations, as well as the lack of documented historical significance. One member suggested that he might be willing to consider a new application with a wider focus on the history of the entire Lake Creek Settlement. "In making their decision, the Board members took into consideration the relative lack of concrete information on the Montgomery and Shannon trading posts..." The main reason Bessie Price Owen could not provide primary sources for the existence of a Montgomery Trading Post was the fact that a Montgomery Trading Post had never existed. Therefore, there simply weren't any primary sources that she could provide to the Texas Historical Commission to back-up her marker application. "One member suggested that he might be willing to consider a new application with a wider focus on the history of the entire Lake Creek Settlement." After working with Bessie Price Owen and Harry G. Daves, Jr. for about two years, the THC suggested that they might focus their efforts on obtaining a Texas State Historical marker for the Lake Creek Settlement which neither Owen nor Daves ever pursued. It is important to remember that the trading post/store that actually preceded the founding of the Town of Montgomery, Texas was the store of W. W. Shepperd for which there are many primary sources in various archives around Texas. In 2008, Kameron Searle introduced some of his preliminary research to various genealogical and historical organizations in Montgomery County, including the Montgomery Historical Society in Montgomery, Texas. In 2009, in an attempt to share his discoveries with a wider audience, he began writing newspaper articles for the Montgomery County News. These articles focused on the primary documents Searle had uncovered during his years of historical research and what they had to say about the town's early history. Shortly after Searle writing his articles, a series of letters to the editor were written regarding Searle's articles. These leters are provided here as they provide an additional and very important revelation about the writings of one of the local historians mentioned above. Adherents to the Montgomery Trading Post Myth have obviously never studied the historiography of the Indian trading post from its first appearance in the essay of Anna Landrum Davis in 1925 to the present. If they had, they would clearly see that the Montgomery Trading Post Myth was not based in fact and evolved over time to suit the needs of various historians. All of these earlier historians had missed the fact that W. W. Shepperd had founded, owned and operated the trading post that in fact preceded the founding of the town of Montgomery. And none of these earlier historians had known about or understood the significance of the Lake Creek Settlement. None of these earlier historians had ever noticed or appreciated J. W. Moody's significant role in the founding of the town or the creation of the county. Because they were not bound by the actual facts, they could all speculate as they pleased. And they did. This explains the constantly changing ownership of the trading post, the different dates of operation, the different locations of the trading post or posts, etc. There were no primary sources for any of it. All there was folklore, hearsay, family history, and creative imaginations. If the town of Montgomery received its name from James Montgomery and his wife Margaret Montgomery (Anna Landrum Davis), then the town did not receive its name from Jacob Shannon and his trading post named after his mother, Margaret Montgomery (Mary Davis). If the town of Montgomery got its name from Jacob Shannon's trading post named for his mother, Margaret Montgomery Shannon (Mary Davis, W. N. Martin), then the town did not get its name from Owen Shannon's trading post named after his wife, Margaret Montgomery Shannon (Anna Davis Weisinger, The Choir Invisible). If Montgomery County got its name from a surveyor named William Montgomery (W. H. Gandy), then the county did not get its name from a trading post operated by someone named Shannon (Mary Davis, W. N. Martin, Anna Davis Weisinger, W. H. Gandy, The Choir Invisible). If the town and county got their names from someone named Andrew Montgomery and the Andrew Montgomery Trading Post (Robin Montgomery) then the town and county could not be named after James Montgomery and his wife (Anna Landrum Davis), Jacob Shannon’s trading post (Mary Davis, W. N. Martin), Owen Shannon's trading post (Anna Davis Weisinger, W. H. Gandy, The Choir Invisible), or Margaret Montgomery Shannon. Over time, historians realized that the different versions of the Montgomery Trading Post Myth mutually excluded each other and began to try blend them together to bring some type of harmony or sense to the story as we saw in the writings of W. H. Gandy and Robin Montgomery. Blended versions had the effect of excluding the earlier versions that only had a single explanation for the source of the name. The discovery of so many primary sources for the trading post of W. W. Shepperd reveals the true trading post that preceded the town and eliminates the fictional Montgomery Trading Post in all its different versions. There are a many primary historical documents (i.e. documents dating from the period in question) that prove the existence of the trading post known as "the store of W. W. Shepperd on Lake Creek." That the county was named after someone named General Montgomery. That the county was named after someone named General James Montgomery. That the county was named after General Richard Montgomery. That the Town of Montgomery is named for someone name James Montgomery or his wife, Margaret Montgomery. That Jacob Shannon ever established a trading post on the creek that later became known as Town Creek. That Owen Shannon ever established a trading post on the creek that later became known as Town Creek. That Andrew Montgomery ever established a trading post on the creek that later became known as Town Creek. That the Town of Montgomery was named for Jacob Shannon's trading post that was named for his mother, Margaret Montgomery Shannon. That the Town of Montgomery was named after Owen Shannon's trading post that was named for his wife, Margaret Montgomery Shannon. That the county was named after a surveyor named William Montgomery. That a trail or road called the Loma del Toro intersected a trail or road called the Lower Coushatti Trace in the vicinity of the future site of the town of Montgomery. That Andrew Montgomery ever established a trading post. That Andrew Montgomery ever established a trading post at the intersection of two trails or roads known as the Loma del Toro and Lower Coushatti Trace. That the town and county were named after Andrew Montgomery or an Andrew Montgomery Trading Post. The mistaken belief that a trading post called "Montgomery Trading Post" existed or that the town of Montgomery, Texas got its name from William Montgomery, Margaret Montgomery, Jacob Shannon, Owen Shannon, Margaret Montgomery Shannon, William Montgomery, and/or Andrew Montgomery is a wonderful example of something called Confirmation Bias. Wikipedia describes Confirmation Bias as "a tendency for people to favor information that confirms their preconceptions or hypotheses regardless of whether the information is true. As a result people gather evidence and recall information from memory selectively, and interpret it in a biased way. The biases appear in particular for emotionally significant issues and for established beliefs. Confirmation bias can be used to explain why some beliefs remain when the initial evidence for them is removed." The term "confirmation bias" was coined by English psychologist, Peter Wason. Confirmation bias had been observed for centuries before Wason coined the name for it. "...it is a habit of mankind ... to use sovereign reason to thrust aside what they do not fancy." "The human understanding when it has once adopted an opinion ... draws all things else to support and agree with it. And though there be a greater number and weight of instances to be found on the other side, yet these it either neglects or despises, or else by some distinction sets aside or rejects." People have said, "Sure there are no primary documents to prove the Montgomery Trading Post existed. But that does not mean that it never existed. And you can't prove a negative!" Adherents to the Montgomery Trading Post story say it is true, because it has never been proven false. In the study of logic, this is what is known as an argument from ignorance. The argument from ignorance is an informal logical fallacy. This fallacy has been used by several Montgomery County historians to try and prove the existence of the Montgomery Trading Post without any certain proof. Searle says the Montgomery Trading Post is false, because it has never been proven true. This is also an argument from ignorance. However there is major difference. Searle has provided actual evidence from primary sources of what did in fact happen. See Early History of Historic Montgomery County. First it is well established that the burden of proof for a history is not on its reader. The burden is on the historian writing the history. See David Hackett Fischer Historians' Fallacies, 1970, p. 63. With regard to the so-called Montgomery Trading Post, none of the writers above who promulgated the Montgomery Trading Post story ever cited a single primary historical document to prove any of the their detailed assertions regarding a Montgomery Trading Post. Not only did they provide no proof, but their stories varied and changed in all the major details over time. In the study of logic, the argument from ignorance also known as argumentum ad ignorantiam, or negative evidence, is a logical fallacy in which it is claimed that a premise is true only because it has not been proven false, or is false only because it has never been proven true. The argumentum ad ignorantiam [fallacy] is committed whenever it is argued that a proposition is true simply on the basis that it has not been proven false, or that it is false because it has not been proven true. This is precisely the situation we have here. An event has been alleged to have occurred. According to Montgomery County historians, an Indian trading post called the Montgomery Trading Post operated for years in the center of a community and settlement which was the very pivot point around which later Montgomery County was formed. As the story goes, the Montgomery trading post lent its name to the settlement, then to the town and finally to the county. As Copi's qualification assumes, there should be some records, (such as letters, deeds, bonds, marriages records, legal documents, business records, etc.) evidencing the existence of such a trading post and the occurrence of the many events alleged to have occurred around the trading post. But there is nothing! Since the Town of Montgomery was founded in 1837, no Montgomery County historian has ever cited a single primary document dating to the period in question which mentions a trading post called Montgomery or Montgomery Trading Post. The only trading post or store within the area of the Lake Creek Settlement prior to the founding of the town of Montgomery, Texas for which there is any evidence is the store of W. W. Shepperd for which there is a great deal of evidence. All these historians with their ever changing stories of the Indian trading post named Montgomery, provide us with a myriad of details regarding ownership and establishment of the trading post, location of the trading post, years of founding of the trading post, it importance as a community center, etc.... And yet, they do not provide a single document to prove any of it. [T]he burden of proof, for any historical assertion, always rests upon its author. Not his critics, not his readers, not his graduate students, not the next generation. Let us call this the rule of responsibility. They not only provided no proof to support any of their assertions regarding a Montgomery Trading Post; but because they have not been bound by any facts, they have regularly tampered with the details so that no two historians relate the same version of the Montgomery Trading Post story twice. Adherents to the Montgomery Trading Post myth are not bothered by the different versions of the Montgomery Trading Post story. They pick a version they believe, usually the first version they hear, and then hang onto it. Using the qualification provided by Irving M. Copi, an event allegedly occurred: the existence of a Montgomery Trading Post. Evidence of it has not been discovered by qualified investigators in 172 years. Copi advises that in such circumstances it is perfectly reasonable to take the absence of proof of an event's occurrence despite searching, as positive evidence towards the events non-occurrence. Not only has no evidence been located and cited to prove the many statements made by Montgomery County historians about an alleged Montgomery Trading Post, but everyone has forgotten that many of the earlier historians were careful to qualify their writings with phrases like "local tradition says," " the Shannon's say," "old timers say, however, and we like to believe," "it is a more popular belief by citizens and old timers...," etc. Recent historians have repeated the stories of these early historians as fact but without the qualifying language. "Bessie: I am sending you this to read. It is not a history, and I don't think you will care to copy it. I didn't pretend to write a history, and I don't know who changed this title, when copying it. I just strung along my memories of what my mother and others had told me, interspersed with "scraps" that I thought 16-year-old boys and girls might like." No evidence has ever been produced for the existence of a Montgomery Trading Post by any of its historians. No evidence, just claims. In contrast, a great deal of evidence exists for a store or trading post established, owned, and operated by W. W. Shepperd in the precise location the earliest historians, including Anna Landrum Davis and Mary Davis, said the Indian trading post was supposed to have been. Just as a mirage contains no water, the Montgomery Trading Post accounts contain no evidence of a Montgomery Trading Post. preconceptions or hypotheses, independently of whether they are true. I was very fortunate to have had the opportunity to know the late Narcissa Martin Boulware and discuss the early history of the town of Montgomery with her on many occasions. She was an old-time Texan of the type that caused me to begin the study of Texas history in the first place. She was not just a historian, but in her 90's she was living history. She had lived through more years of Texas history than had occurred before her birth. I will miss her greatly! I would like to take this opportunity to recognize all her many efforts to correctly report and preserve the early history of the Lake Creek Settlement, the Town of Montgomery and Montgomery County, Texas and for her valuable assistance in this project to correct the early history of Montgomery County.